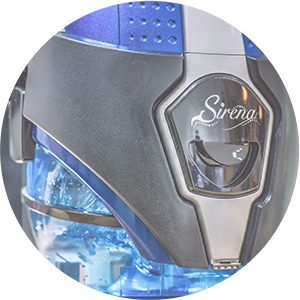 Sirena water vacuum cleaner eliminates the use of bag and uses water, the most effective natural filter, to trap dust and allergen. Rain washes away dusts in the air so we feel the air is fresh and clean. This is the best example of water being the most effective natural filter. Because dust particles can not escape water, that is why water can capture the dust and the allergens on it. Sirena water vacuum cleaner harness this natural property of water to clean the surfaces in your home and the air you breath at home.